Friends of Cheam Library | Some of my best friends are books! Celebrating the lives of some of Britain’s most intrepid plant hunters, Tom and friends are dressed in character to lead a guided tour of the World Garden between 1.30 – 3.30pm – join at any time! Visitors are offered a unique glimpse into the past to experience an authentic plant hunter’s expedition camp, complete with plant presses, roaring fire, porters and canvas tents. Second Chance Animal Rescue (SCAR) will have some special animals and reptile guests joining us during our garden tour. SCAR expert handlers during the tour will showcase different animals to see amongst the continents to truly bring the tour alive. For those of you with young children who may be visiting Cheam Park, (or others in the area), please note that some stupid person had attached tape and nails deliberately to a climbing apparatus in the play area there. At least one child was injured. Please continue to enjoy these spaces but just be aware. This is the text of an update sent by Councillor Elliot Colburn (Cheam) that he received from Paul Scully MP. Myself, Holly and Eric will continue to support him and press these points to the Council. In the meantime, I have also heard from the Cheam SNT who have advised they are assessing the situation and are working up a patrol rota. They have said that if you are witnessing a crime or are in imminent danger then obviously call 999, or 101 or online in less urgent circumstances. They have a CAD reference of 6127, in which all crime related to this incursion will be logged and investigated against. 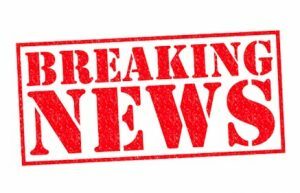 Just a heads up for readers in case you are not yet aware, but the “travellers” group that had wreaked havoc in Fairlands Park up in North Cheam last week, have now invaded Cheam Park and are sited on the Recreation Area. As usual, authorities are playing “catch up” in terms of legal enforcement and it is hoped that they will depart later in the week. We will keep you updated. 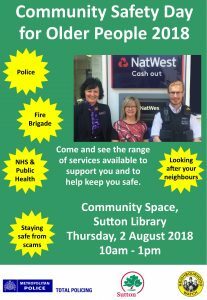 Some Community news for our readers – there is a Community Safety Day for Older People on Thursday 2nd August 2018. There will be over 30 organisations in attendance to offer you FREE help and advice on how to stay safe in and out of your homes and to avoid becoming a victim of fraud and scams. 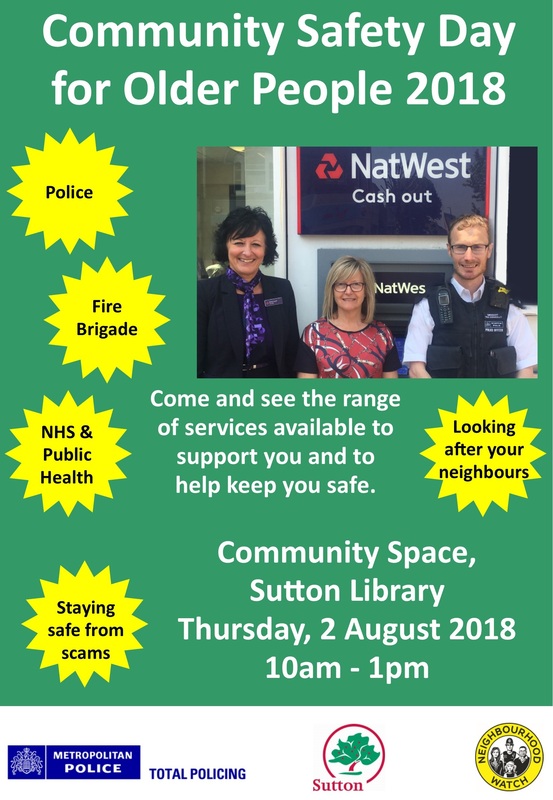 The event is being held at the Community Space inside Sutton Library from 10am – 1pm. 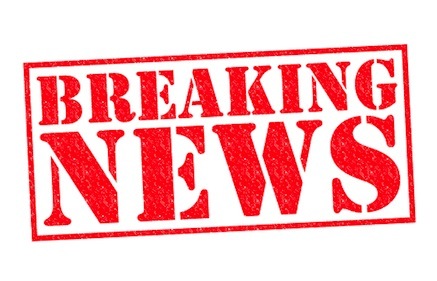 Join to receive the latest news and updates from the Friends of Cheam Library. Designed by Event Rising and Powered by copious quantities of coffee! Join our mailing list to receive the latest news and updates from the Friends of Cheam Library.